To crush defective plastic into granular form we provide Plastic crusher machines. By these machines plastic can be recycled and remoulded for use in manufacturing other products. These machines help to reduce the volume of plastic waste, make it usable for reproduction of plastic products. Almost every industry makes use of plastic crushers to save cost and resources. Stable function, low noise, and low dust contamination high crushing power with good out coming without any overheating problem during the operating and it is a very durable machine. 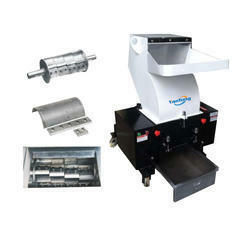 The HGM series granulators and with excellent quality and simple operation. The general speed of 250rpm is designed to granulate of sprue (Runners) and minimise the operating noise and wear & tear of the cutter blades. Electrical & mechanical safety devices meet to European safety regulations. The low speed crushers are designed without screen netting. 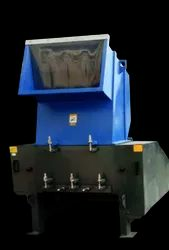 And the PET bottle crusher machine is to be installed beside the machines, with low speed rotation, especially recycling for all kinds of blow molded products and scrap materials.Stable function, low noise, and low dust contamination high crushing power with good out coming without any overheating problem during the operating and it is a very durable machine. It makes the better soundproof effects having two layers sound insulation inside the cast hopper.